Absolutely all people are at risk of losing one or more teeth, but depending on age, the reasons may be different. Why do teeth fall out in adults? As people get older, the more they have health problems. With age, certain processes are triggered in our body, which serves as a cause for tooth loss. 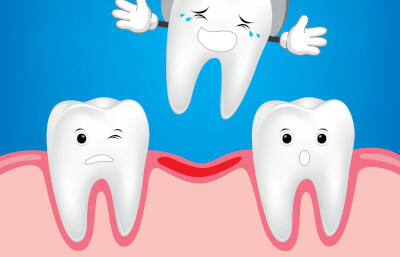 There are many causes of tooth loss: inborn, trauma, periodontal disease or decay. These causes can cause the loss of one or several teeth. There are cases when you can lose more teeth, including all upper or all lower teeth. After losing one or more teeth, changes occur in the mouth. Neighboring teeth, jaw bones and jaw joint change depending on the length of time during which space remains without a tooth. 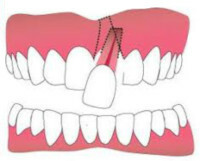 Neighboring teeth can be displaced and come close to each other in place of the missing tooth. This shift leads to a change in the distance between the teeth, which can lead to other teeth becoming loose and lost eventually. Changes in the jaw joint can lead to frustration, such as facial pain, which manifests itself over time. There may also be a loss of bone mass around a missing tooth, which leads to aesthetic problems and may limit future options for restoration. The following are some common conditions that most often lead to the loss of teeth. Loss of teeth can occur due to a sports trauma, an unsuccessful fall, or an accident. According to American studies, about 40% of the traumas associated with tooth loss fall on sports (basketball, football, hockey, baseball). When injured, a fracture of the root of the tooth can occur, which will only be felt after a few months when an infection develops in the tissues. Under such circumstances, saving a tooth is almost impossible. Therefore, prompt examination and proper treatment are so important. According to the dentists, if you see a dentist within a few hours after the incident they can save the “injured” teeth in some cases. Cavity and gum diseases are usually caused by poor oral care. Inflammatory processes are triggered by bacteria living in dental plaque. Therefore, it is the formation of plaque and stone that are the main trigger factors for gingivitis. Progression of gingivitis without the necessary treatment can lead to severe complications, such as periodontitis, which ultimately leads to tooth loss. The health of the teeth and gums depends largely on the psychological state of a person. Constant stress, prolonged depression, anxiety, and loneliness are often accompanied by the development of periodontal disease which is one of the main causes of tooth loss. Stress and anxiety increase the risk of diseases of the teeth and gums by 57%. This conclusion was made by specialists from the American Academy of Periodontology. According to researchers, the relationship is caused by stress hormone – cortisol, an increased level of which contributes to damage to the jaw bones and gums. How Does Stress Affect the Condition of the Oral Cavity? In a stressful situation, the body produces a stress hormone – cortisol. Elevated levels of this substance can influence the development of inflammation in the periodontal tissue – the complex of tissues surrounding the tooth and ensuring its reliable fixation in the jaw. Symptoms of the periodontal disease can include symptoms such as bad breath, bleeding, and sore gums. Stress and anxiety can cause you to clench your jaw and grind your teeth during the day, as well as in your sleep. Teeth grinding is a major problem that damages teeth and needs special attention of your dentist. There are many stress-relief methods such as yoga, meditation, and breathing exercises, that can help. According to statistics, of all people losing teeth, 31% are smokers. Smoking in a long period of time leads to the formation of a smoker’s plaque. Nicotine contained in a cigarette causes narrowing of blood vessels; this leads to a decrease in blood flow to the gums. This leads to the development of gingivitis and subsequent exposure of the neck of the tooth. To prevent tooth loss, it is necessary to abandon the smoking habit. One-third of people over the age of 60 suffer from periodontal disease, which threatens to completely lose their teeth. Thanks to modern dentistry, this is not necessarily the inevitable fate. Nowadays, everyone can keep their teeth to the deepest of old. Most of our patients say that they brush their teeth 2 times a day, however, for many of them, this is not enough. To reduce the level of bacteria in the mouth and prevent their destructive effects, follow a few simple tips below. Brush your teeth at least 2 times a day, especially before bedtime. During sleep, the salivary glands disburse a minimal amount of saliva, which has disinfectant properties and protects the teeth. Do not consume food after brushing your teeth before bedtime. Use dental floss daily, and for the space between the teeth – interdental brush. In the morning and evening, use a mouthwash, for 30 seconds. This may not be the only means of hygiene, but it helps to remove bacteria that accumulate in hard-to-reach places – between the teeth, near the gums, where it is very difficult to get with a toothbrush. Do not neglect the use of a brush to clean the tongue. Up to 60% of bacteria in the oral cavity live there. Brush for cleaning the tongue perfectly helps to get rid of bacterial plaque from the tongue. Eat a balanced diet, do not abuse the flour, sweet, spicy food, soda drinks, do not eat too hot or cold dishes, increase the number of raw vegetables and fruits. Stop smoking. In the process of smoking, the vessels in the mucous membrane of the oral cavity narrow, the blood supply deteriorates, which becomes the first cause of periodontal disease. 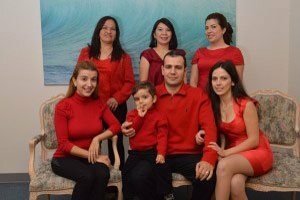 Visit your Burbank dentist regularly for a routine check-up, professional teeth cleaning and tartar removal once every 6 months. The loss of teeth not only has serious physiological effects but also harms self-confidence and quality of life. Comprehensive oral hygiene and regular visits to the dentist should be the basis for the prevention of tooth loss. For the prevention of tooth loss and dental pain, please contact My Dentist Burbank or call 1-818-578-2332 for an appointment today.